There are 2 kinds of people, one who loves the sea and the other who loves the mountain. I can definitely say I am the second kind. I have been to the Himalayas numerous times, but everytime I visit the hills it feels like the first time. The mountains have always brought a smile on my face. Its is also very difficult to stay away from the mountains for too long. Once you have felt the essence of the hills its hard to love any other place. 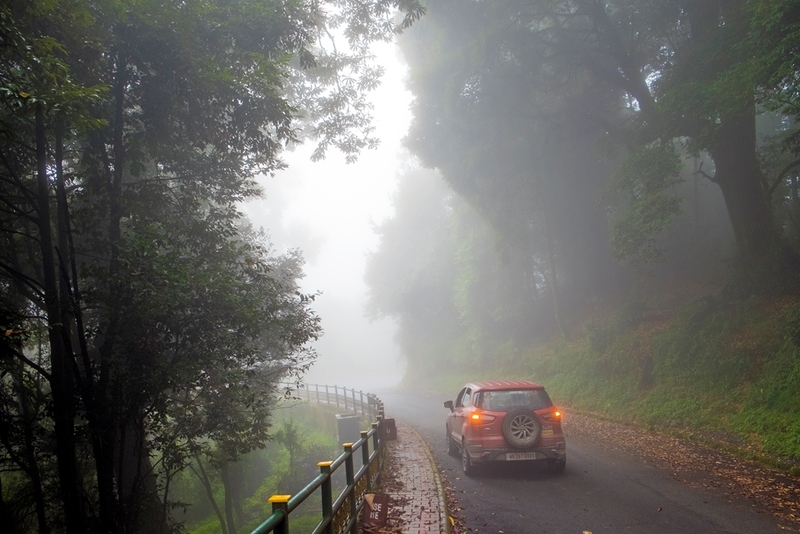 That is why Sikkim comes to mind first when I am planning for a roadtrip. You can never get bored of Sikkim. 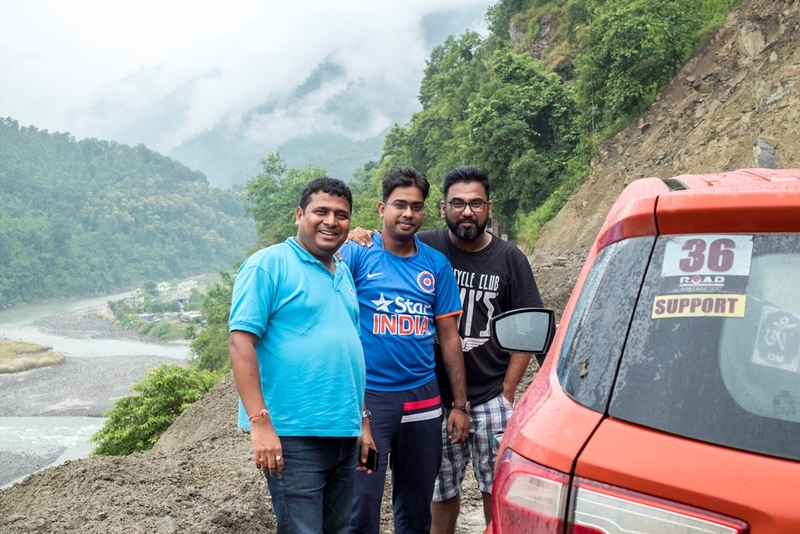 Our last trip to north bengal/dooars was a nightmare. Due to heavy rain and flood we were stuck there for 4 days. While returning to Kolkata my car was damaged severely. 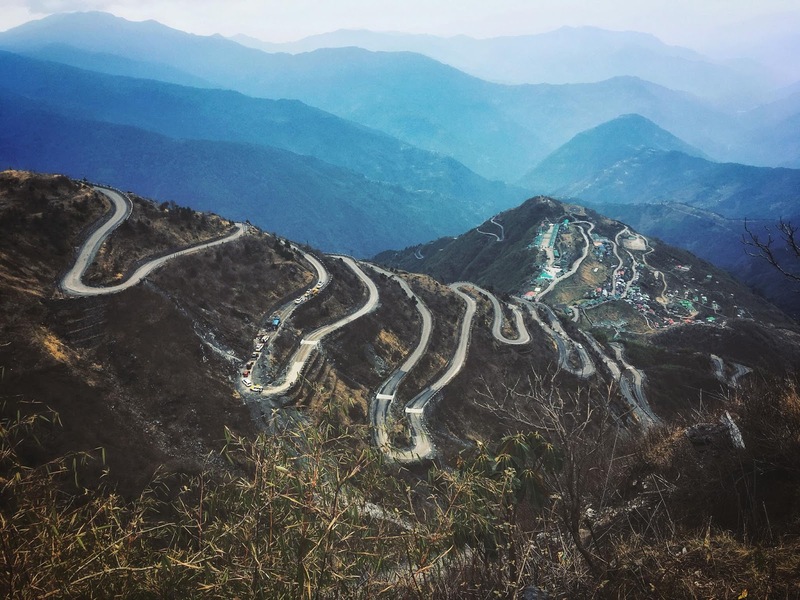 Thats another story and I will write about that in an another article, but for now lets talk about West Sikkim. 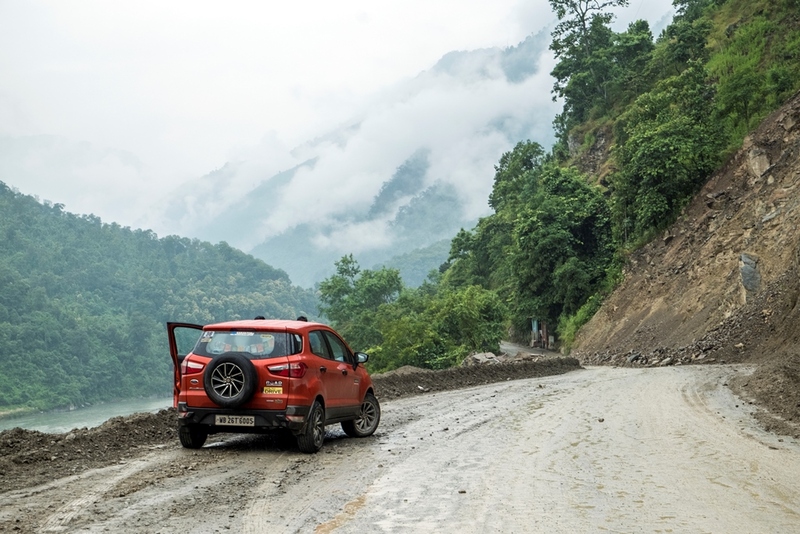 I did plan for West Sikkim during monsoon but we went to Dooars and was badly stuck. West Sikkim is most the dangerous place to visit during monsoon, but at the same time its most beautiful too. The entire region is landslide prone. The roads are pretty bad. But the beauty in unparalleled. The place becomes more green than I have seen in my entire life. Addition to that green you will see lots of waterfalls. 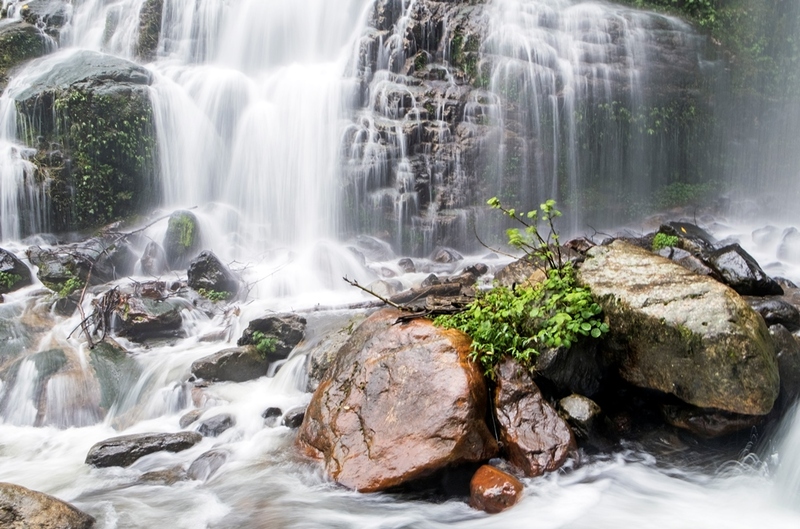 Rains creates lots of small waterfalls which you wont find in any other season. And then there are large and huge waterfalls too. Bengali and Durga puja are inseparable. Its the only festival which we celebrate for 5 days. We wait the entire year for Goddess Durga to arrive. The festival is divided into 10 days and the celebration starts from Day 5. This is also the only time we get a lot of leaves. This years Durga puja was a bit different for me. This was the first time I went outside Kolkata during the festival. On the 8th day of celebration we decided to go on this road trip. We planned to go to Pelling and stay there for 2 nights. From Meli there are different routes to go to West Sikkim. Once can go straight to Rongpo and take the long route towards South Sikkim and then to West Sikkim. We took the direct route to West. When you reach Meli bazar you have to take the bridge that goes towards left. For some unknown reason this route is always in bad condition. Last time I was here in 2014 and even after 3 years nothing has improved. Moreover the rains have washed away few section of the road. The 70 km from Meli to Pelling took us 4-4.5 hours. 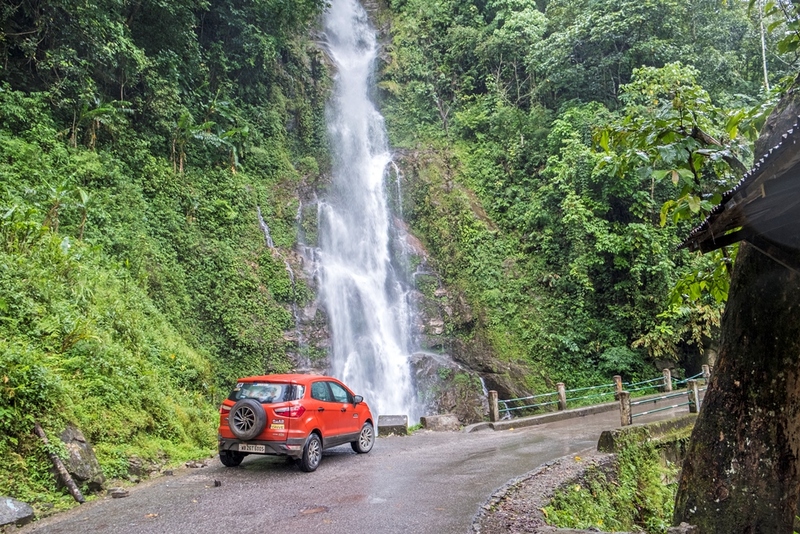 The EcoSport was having a hard time to cope up with this landscape. It was slippery, rocky and no roads most of the time. And with 4 people onboard I am sure the EcoSport didnt enjoy all of it. Our hotel in Pelling was booked by a friend. We called the hotel and asked them to prepare lunch so that we dont have to wait after we reach. In every roadtrip the only way to save time is not to drive at high speed, the only way is not to stop frequently. Which also means to skip meals. We usually keep chips, cakes and biscuits with us but no one wants to eat that the whole day. When we reached Pelling we were dead hungry, so instead of going to our rooms we went the the restaurant. Luckily they had everything ready and once we came they served us hot and delicious food. 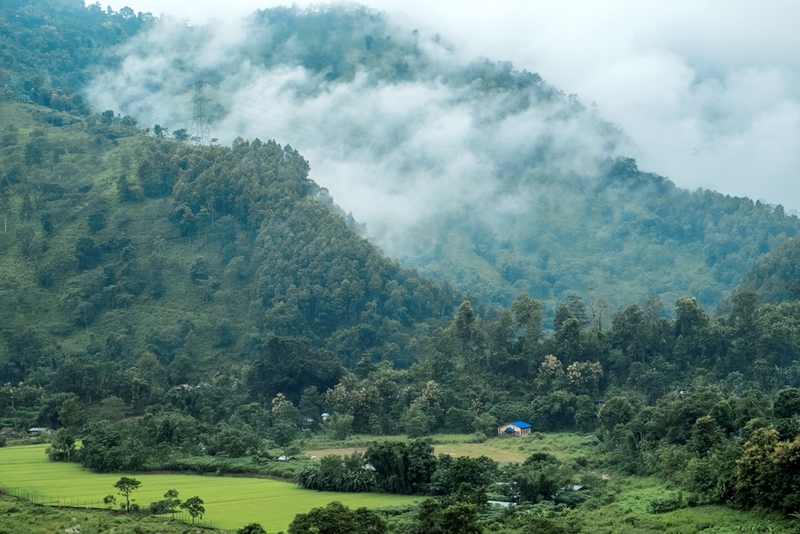 The city being covered with clouds gave us no view of the Kanchendzonga. We were given rooms with views, but what we could only see was white clouds. That day we didnt do anything else. We slept like babies until it was evening. And in any small town there isnt much to do after it is dark. This time Kanchendzonga was not in a mood to show itself. Even the next morning was cloudy. 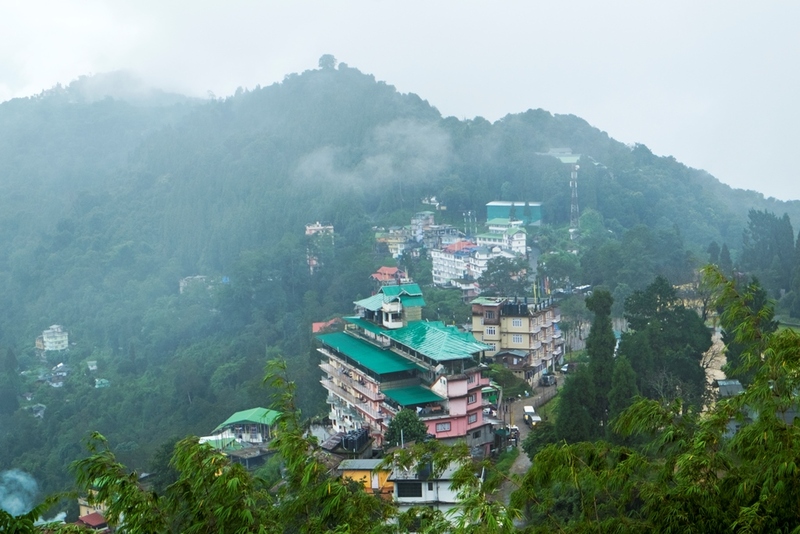 There are about 5-6 places you can visit in Pelling. We started with the hellipad before having breakfast. Breakfast was to be served at 9, so we though of visiting a monastery and the helipad before that. 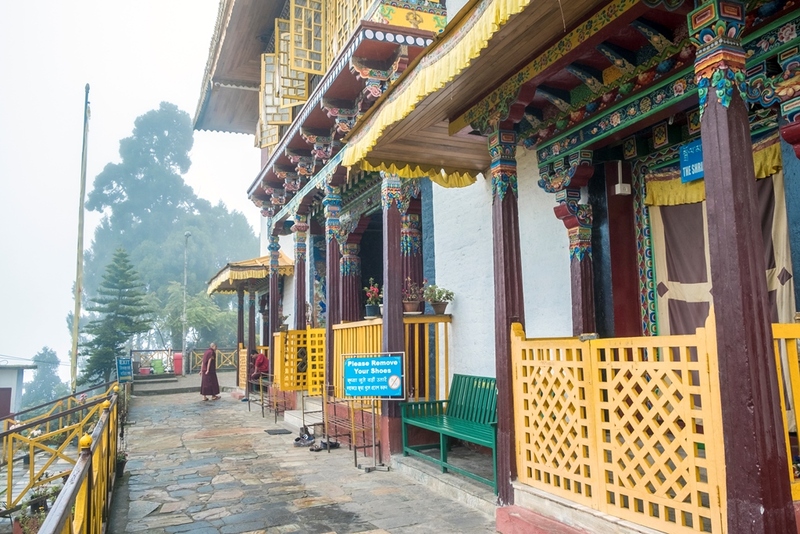 Pemayangtse Monastery is one of the oldest in Sikkim and the most popular one in west Sikkim. The monks of the monastery are chosen by the Bhutias of Sikkim. 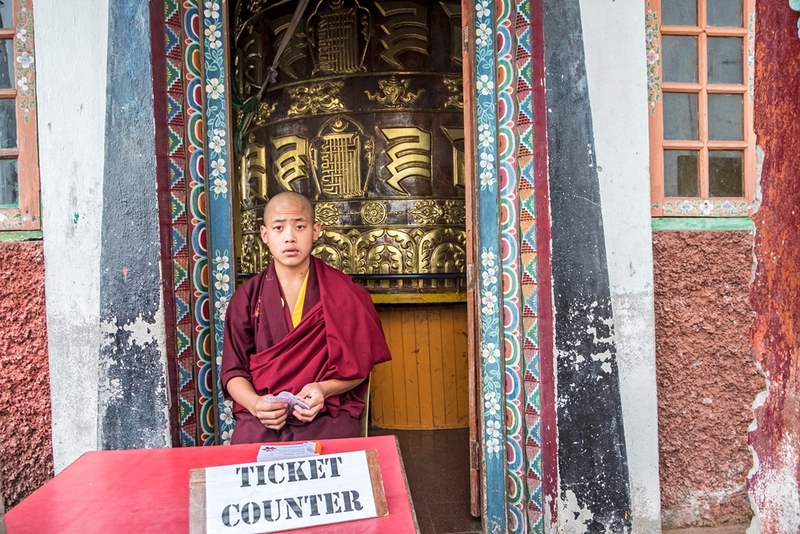 The monastery was built for monks of pure Tibetan lineage and it is still being followed till date. Post breakfast we went to visit other parts of Pelling. Kecheopiri Lake is situated north east to Pelling. It is known as the wishing lake and is sacred to the buddhist and hindus. An interesting feature of the lake is that leaves are not allowed to float on the lake, which is ensured by the birds which industriously pick them up as soon as they drop into the lake surface. There are further interesting legend about the lake - "According to folklore legend related to Sikkim topography, the Khecheopalri is said to represent one of the four plexus of the human body namely, the thorax; the other three plexes are said to be represented by Yuksom (the third eye), Tashiding (head) and Pemayangtse (the heart). 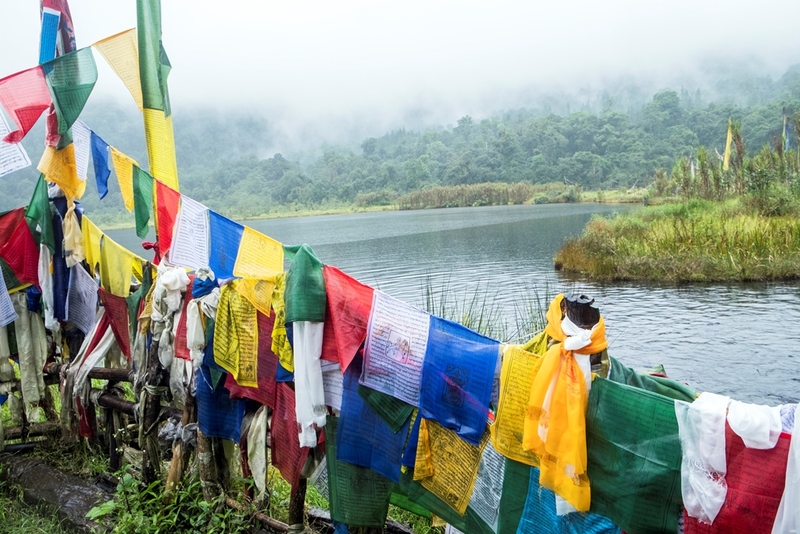 The mythological links to the origin of all the lakes in Sikkim make them sacred and so is the case with the Khecheopalri Lake. Many legends are narrated such as: Guru Padmasambahava preached to sixty-four yoginis here; it is the residing place of the Goddess Tara Jetsun Dolma and the Khecheopalri Lake is her footprint; the lake represents the Goddess Chho Pema; footprints of Macha Zemu Rinpoche are on a stone near the chorten (stupa) near the lake; Hindu god Lord Shiva meditated in Dupukney Cave that is situated above the lake and hence worshipped on "Nag Panchami" day at the lake; a Lepcha girl named Nenjo Asha Lham was blessed by the lake goddess and was gifted with a precious gem which was lost, and it is the belief of the local people that the gem is hidden in the lake; the lake water has curative properties and hence permitted to be used only for performing rites and rituals; and with all these legends, the lake is called a "wish fulfilling lake". Another folk legend narrated (a plaque erected at the entrance to the lake by the Department of Ecclesiastical Affairs, Government of Sikkim gives some details of the legend) is that long time back this place used to be a grazing ground, troubled by nettle (the native original tribal population make use of the barks of nettle for multipurpose uses). Then, on a particular day, a Lepcha couple were peeling off the bark of the nettle when they saw a pair of conch shells falling from air on the ground. This was followed by severe shaking of the ground and spring water emerged from below and thus the lake was formed. Based on the sacred Nesol text, the lake was interpreted as the abode of "Tshomen Gyalmo or chief protective nymph of the Dharma as blessed by Goddess Tara". This lake was also identified as the footprints of Goddess Tara, as from a high vantage point the contours of the lake appear like a footprint. Another belief is that the foot prints are of Hindu god Lord Shiva. The lake because of its high religious significance has been declared a protected lake under the Govt. of Sikkim Notification no. 701/Home/2001/dated 20-09-2001 and the provision of the place of worship (Special Provision Act 1991 of Government of India. Department of Eccliastical Affairs, Government of Sikkim. The sanctity of the lake is exemplified by another legend, which says that the shape of the lake is in the form of foot that represents the foot of Lord Buddha, which could be seen from the surrounding hills." 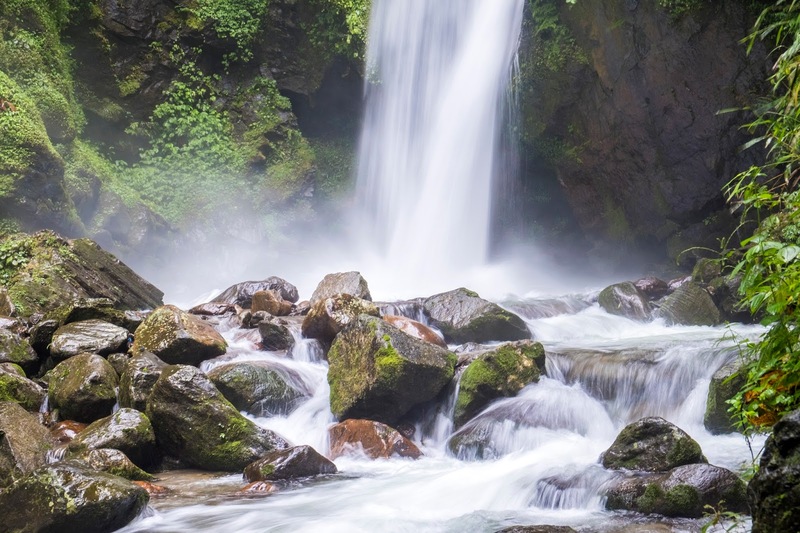 The reason west is called the land of waterfalls is obvious. Monsoon brings out the best of place. People are afraid of visiting the hills during monsoon because hills are not stable. There are reports of landslide, flood every now and then. 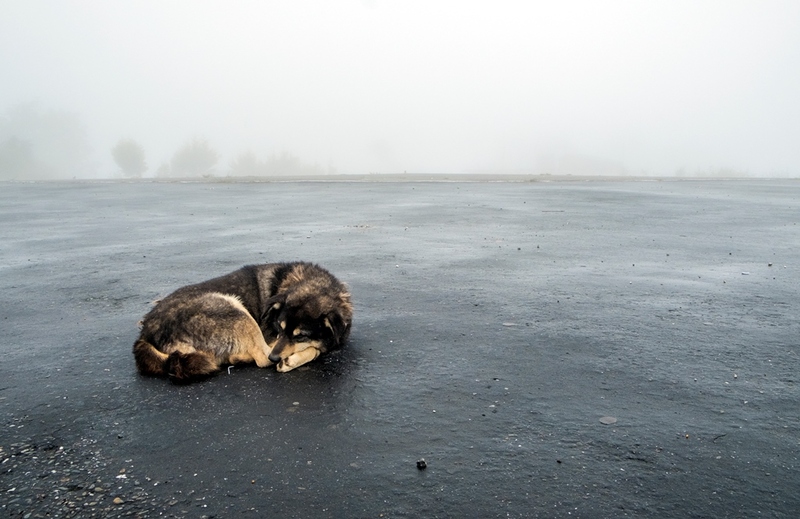 But if you take the risk you could see something which not possible in summer or winter. The rains makes the whole land green. On top of that clouds are so near that they will cross you every now and then. And the feeling when the clouds crosses you is unparalleled. Its moist and cold and you could literally see them passing you and touch them. Rain also creates lots of waterfalls. The permanent ones become more dramatic and dangerous. 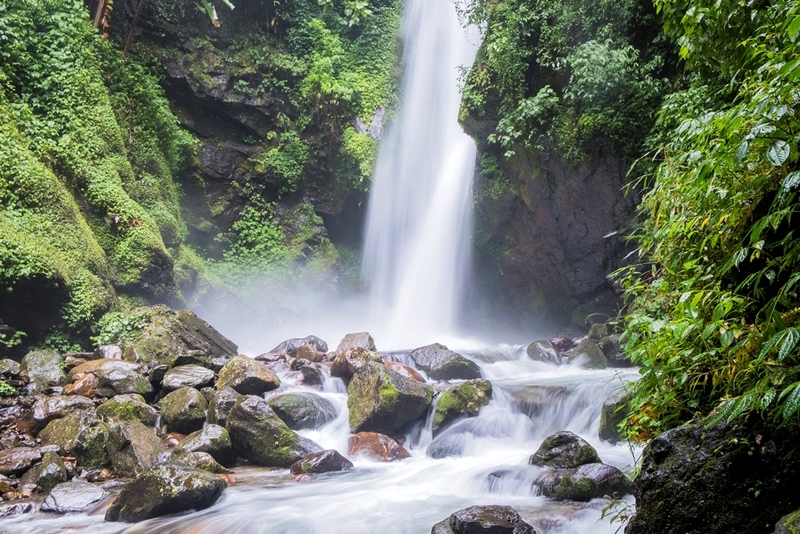 There are 2 major falls in Pelling - Rimbi and Kanchendzonga falls. Both of them are on the way to yuksom, just an hour drive from the town. The same road goes till Yuksom, which is the end point in west. We returned from Kanchendzonga falls and were back at the hotel by 4 pm. The rest of the day was followed by food and sleep. The 2 days trip to Pelling was about to come to an end. 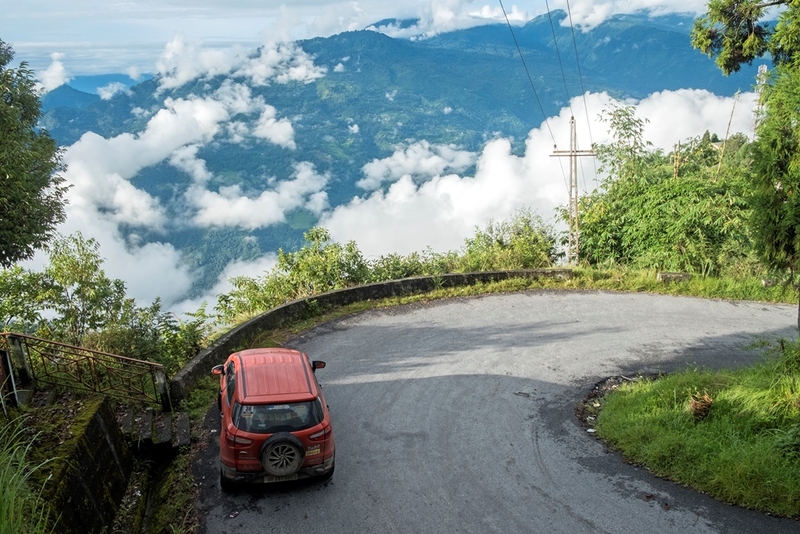 While returning on sunday we took the long road which came via south Sikkim and Rongpo. Fortunately we could see the sun that day. We stopped at one of the viewpoints near Legship and took some good photos. We took a break in Rongpo to have lunch. When in Rongpo do not miss to have food in Rickis. We touched the plains around 3pm. It was already late and on top of that it was Muharram. People were gathered on the streets as their ceremony went on. We drove almost for 20 hours from Pelling to reach home. 4am in the morning I was on my bed. I feel sad every time when I cross Sevoke while returning. But then if you dont return how can you go back ? Every time I return I make a promise to myself to go back again. There are many places in west Sikkim which I havent visited yet and they are very different from one another. 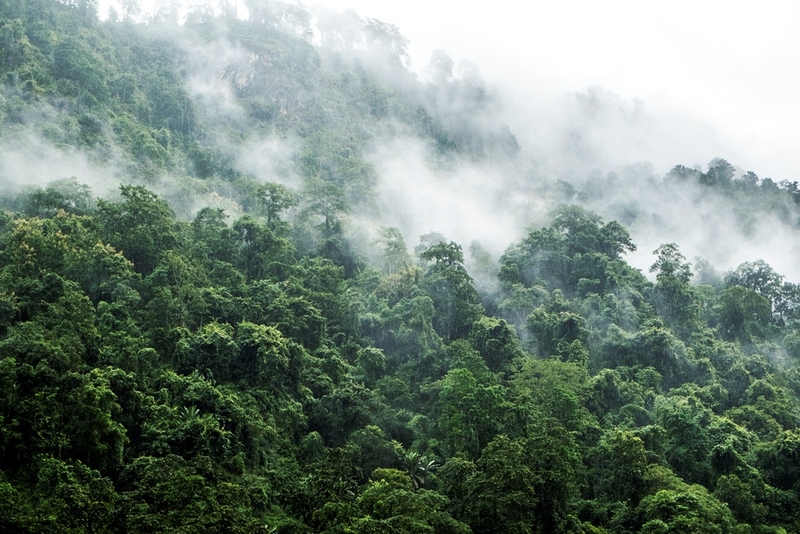 The thing about Sikkim is you will get different taste of nature in North, South, East and West. While North is more rough and barren, west is green and lush. East has the famous winding roads and South is for pilgrims. I have touched all four corners but yet to discover everything. People asks me why do I love Sikkim so much as there are other places in North East India which are similarly beautiful. I am afraid I dont have any answer, its just Sikkim has grown on me.